Starsky & Hutch Reboot Happening! 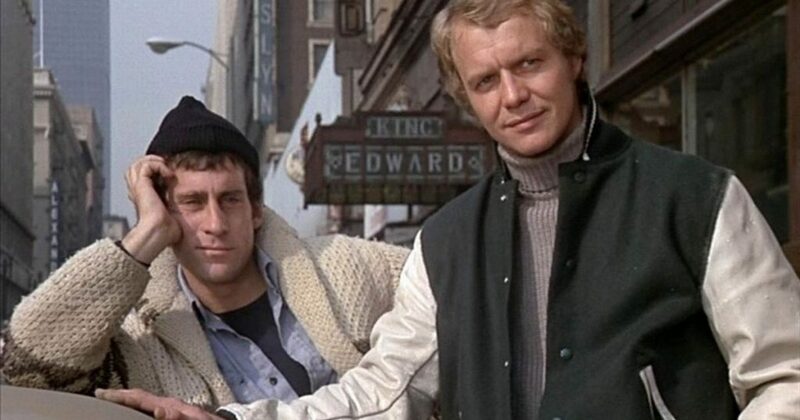 Starsky & Hutch looks to be returning to TV with a reboot that is happening at Sony Pictures TV. The original series aired during the 1970s and centered on two police detectives consisting of David Michael Starsky (Paul Michael Glaser), who was the crazy street-wise detective and Kenneth Richard Hutchison or Hutch for short (David Soul), who was a by-the-book detective who solved crimes in California in a hot rod Ford Gran Torino. In 2004, Todd Phillips (The Hangover) directed Ben Stiller and Owen Wilson in a remake for the big screen. Now it seems like James Gunn, the director of Guardians of the Galaxy and Slither wants to either produce, direct, write, or show-run the new series. If Gunn has time from his big budget Marvel properties, it’s said he will be hands on as much as he can. The new rebooted series will be a one-hour procedural, and if Gunn’s unique and entertaining style transition over to this remake, I’m all in. I just hope there is a big part for Michael Rooker here. I’m on the side of the fence that doesn’t think we need to mess with this property yet again, but with talent like Gunn behind it, I’ll be sure to give it a shot. Plus, all the fun and kooky characters that will be running all over the show will be a hoot this day and age. Again, let’s get Rooker on this show. Dan Moran’s ‘Guardians of the Galaxy Vol. 2’ Review! Film Review: ‘Guardians of the Galaxy Vol. 2! We’ve Got The First Teaser For ‘The Belko Experiment’!!! ‘Guardians of the Galaxy Volume 2’ Enlists New Cast Members Including Kurt Russell!!! This entry was posted on Thursday, August 24th, 2017 at 1:25 pm	and is filed under News, Television. You can follow any responses to this entry through the RSS 2.0 feed. You can skip to the end and leave a response. Pinging is currently not allowed. « Look What’s coming to Blu-ray from Arrow in September! [blows out] That's right, that's-- Ooh! Um, Kay! Oh, damn, man! Hey, uh, something's--Kay! Something's peekin', man!